When pharmacist Olutayo Arikawe joined The Priory Community Pharmacy in 2012, it had just one other full-time member of staff to serve a deprived part of Dudley, in the West Midlands, which had limited access to pharmacy services. Now, they have a full-time team of eight and an abundance of offerings, inspired by their own bright ideas. The team wanted to build a “community hall” that was “not just a normal pharmacy”, superintendent Ms Arikawe tells C+D – a place of social support, where locals feel at home. The team has achieved this by weaving its activity into the lives of residents. For example, they host weekly sessions with three councillors, where people can raise issues ranging from potholes to housing. The pharmacy has rooms upstairs where patients can receive mental health treatment from therapists, while the team also organises an annual funfair to raise money for charity. The staff are community leaders – one previous delivery driver even served as the mayor of Dudley. These creative schemes come from all the pharmacy team members, as well as suggestions received from patients via a box in the store. Every Tuesday, all staff have the opportunity to pin their ideas on a board, Ms Arikawe says. The ideas drive the team towards its goal of being “proactive rather than reactive”, continues Ms Arikawe. One example of this is a clearing for a vegetable patch in the garden behind the pharmacy, for which she is drumming up volunteers to train patients to grow their own food on the plot. Ms Arikawe hopes working on the vegetable patch could improve patients’ mental health, as well as help them to meet others, she says. Shop floor coordinator Neelam Shemar is raising awareness of pancreatic cancer by taking to the airwaves. Following in the footsteps of Ms Arikawe – who appeared on nine radio stations on her way to winning two C+D Awards in 2016, before being crowned C+D’s Best of the Best the following year – Ms Shemar is planning on appearing on Birmingham’s Raaj FM to speak to listeners about the condition in Punjabi and Hindi. The Priory Community Pharmacy staff go the extra mile by reaching out to people, Ms Shemar says. For example, she drops off medication to housebound patients outside of her working hours. She also helps young mothers at a local community centre, signposting them to treatment for issues such as postnatal depression. 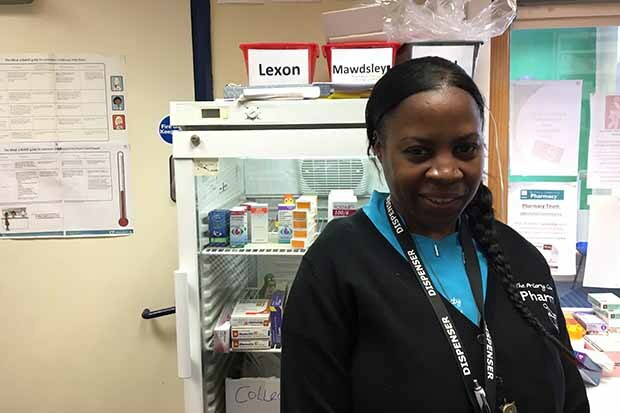 Like the rest of the staff, Ms Shemar is trained to deliver all of the services on offer at the pharmacy – such as HIV and chlamydia testing – to ensure a team member can always perform them for patients when required. This was what attracted Tesha Gunputh, the team’s pre-registration pharmacist. 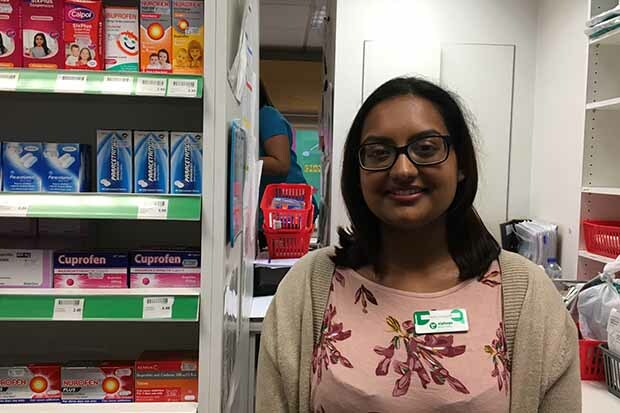 Ms Gunputh applied to The Priory Community Pharmacy for her placement because of the range of services it offered. Ms Gunputh was able to meet her potential tutor, Ms Arikawe, in person – something that was not possible before beginning placements at some multiples. She found the number of services on offer at the pharmacy “quite staggering”, Ms Gunputh says. During her interview, Ms Arikawe “talked about how passionate she was about the pharmacy and the number of services she provided. And because she’d won C+D’s Best of the Best Award, I was like: ‘I’m in good hands!’”. 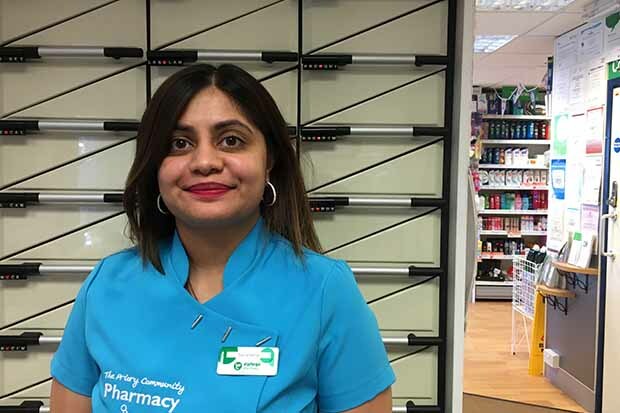 Dispenser Sonia Saroy has certainly been proactive, through embracing the weekly training courses available at the pharmacy. These include a teenage pregnancy service, and testing for heart age and underdiagnosis of chronic obstructive pulmonary disease. In addition to these courses, each week a different member of the team delivers a presentation on a care topic. Ms Saroy’s was on a healthy mind. 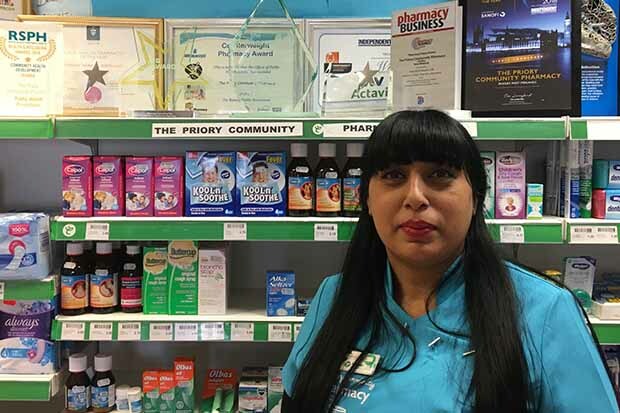 The Priory Community Pharmacy’s constant innovations make it stand out from the other three pharmacies Ms Saroy has worked in over her 16-year career, she says. Though sometimes her role can be “challenging”, like every job, “you adapt” to it, she says. 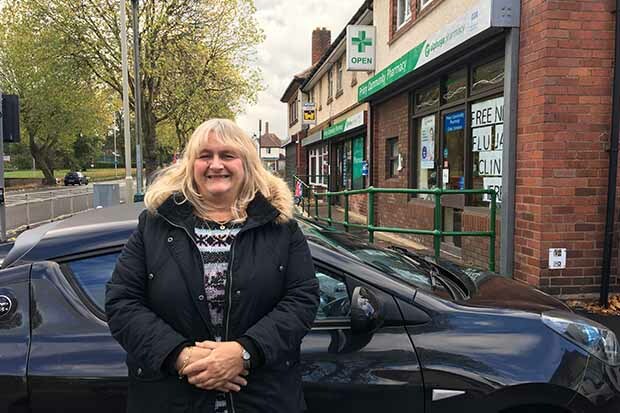 During her two years as a delivery driver at The Priory Community Pharmacy, Corinne Clouds has faced challenges while bringing its services to the homes of housebound patients in the community. Like Ms Arikawe, she knows most of them by name. However, the job has not always been straightforward. On one occasion, while working outside a GP surgery, she was accosted and threatened by someone who knew she had medicines on her person. The incident went to court, but the man went unpunished. You have to be “very aware” of your surroundings in her role, she says. Dispenser Claudia Burrell has only been at the pharmacy since September 2018, but has taken to the job. She tells C+D she likes that Ms Arikawe has goals for the staff to work towards, and knows how to get things done. “I warmed to Olutayo straightaway. She’s got a vision and she’s aiming to make sure that vision is accomplished. The strength of The Priory Community Pharmacy lies in allowing all team members to contribute their thoughts and actions to its strategy. They benefit from Ms Arikawe having created a space where anyone – including patients – can turn their ideas into reality. Through their collective teamwork, the staff have built a pharmacy that goes far beyond its health duties – one that might be called a “community hall”. Could you win the Pharmacy Team of the Year Award in 2019? Entries for all 14 categories – including the new Locum of the Year Award – are now open, so find out more and enter below. Will you enter the Pharmacy Team of the Year Award 2019? I won't lie - I read the bit about a veg patch and my first thought was "WTF". Then I read on a bit further and the integration of health & social care does make some sense in the current climate. However, my big question, while I applaud all that they do, is simply "Are all these services paid for by commissioners, or are they, like HLP, someting we 'should' do and it will not bring in money per se but will increase footfall and, hopefully spending?"